From the impact of disruptive technologies to the imperative of digital transformation, businesses today must find new ways to innovate or risk being left behind. 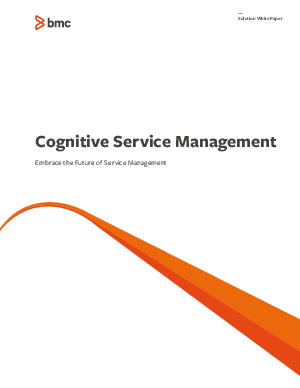 Learn how BMC Cognitive Service Management (CSM) addresses the complexities of multi-cloud computing by applying intelligence, automation, and predictive capabilities. CSM employs a differentiated approach with a more holistic point of view for the enterprise.